A recent post by MPR news detailed heavy rains that caused flash flooding in Minnesota and northwestern Wisconsin. A 1-in-1,000 year storm: What does that mean? We often hear big storms described as a 10-year storm, a 100-year storm or even a 1,000-year storm. Those terms can be confusing and counterproductive. While most folks naturally assume it means such storms happen about once every 10 or 100 or 1,000 years, that’s not accurate. The term actually refers to the probability that a storm will happen in any given year. A 10-year storm isn’t one that happens once every 10 years, but rather a storm that has a 10% chance of occurring in any given year at that location. Thus, terms like a 10-year storm or 100-year flood are meant to express a statistical probability of an event occurring, rather than their historical frequency. The fact that there was a “1,000-year storm” in Drummond, Wisconsin this year has no bearing on the likelihood of it happening again next year. The probability remains the same: about .10%. The confusing terminology in use today is the byproduct of national flood mitigation programs in the 1960s and 70s. When federal leaders began to develop maps for use in the National Flood Insurance Program, they needed to assess the areas that were most at-risk for flooding. Since few places had detailed historical flood records, they used a probability approach. Areas were included on flood maps if they had a 1% or higher probability of flooding in any given year. This 1% annual exceedance probability was a compromise between public safety and excessively strict regulation. Because a 1% likelihood flood has a 1-in-100 chance of occurring in any given year, it became known as a “100-year flood” map. Since then, the terms like 100-year flood and 100-year storm have become standard (and confusing) terms. How likely am I to experience a 100-year flood or rain event? More likely than not! While a 100-year flood has a 1% chance of occurring in any given year, probability theory means that actually experiencing one one these events is more likely over time! Over a 30-year period, the likelihood of your home experiencing a 100-year flood is actually about 26%. Thanks to our above-average lifespans of about 81 years, Minnesotans have a 55.7% chance of experiencing a 100-year flood during their lifetimes in a given location. Bigger storms are on the rise in the Midwest. As the 538 blog puts it: "Minnesota is getting wetter. Over the last 100 years, the state has seen more storms that produce heavy rainfall, and its strongest storms have grown more intense." Bigger storms yield more runoff and higher overall river flows. In turn, higher river flows can increase erosion, degrade habitat and carry more pollutants downstream. Though average annual flows have increased 24% in the metro Mississippi River, changes in storm intensity are just one piece of the picture. The largest driver of increasing river flow is land-use change — particularly the transition from prairies and wetlands to high-intensity cropland with artificial subsurface drainage systems. These agricultural systems are designed to quickly flush water off the landscape, rapidly increasing flows and making our rivers more erosive over time. Minnesota's ever-larger storm events are simply super-charging an already difficult problem. You can help by reducing the amount of pollution that comes from your home and in your yard after it rains. To reduce your runoff pollution footprint, check out the State of the River Stewardship Guide. 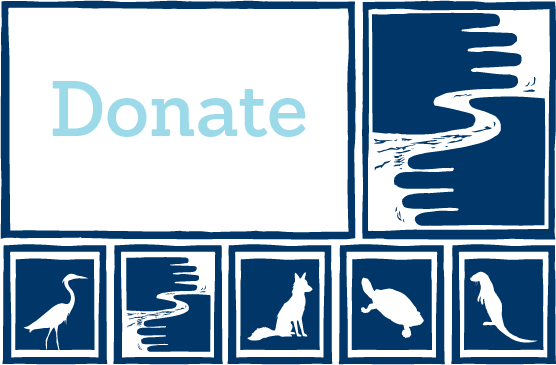 And you can make a difference in state water policy by joining the FMR River Guardians. We'll send you a link to act quickly act online when the time is right, plus occasional invites to special events like River Guardian happy hours. This is the best way to keep up to date on actions you can take to protect our great river!
. Probability theory states that the likelihood of there NOT being a 100-year storm in any given year is 99%. That 99% each year over 30 years (.99^30) yields a 74% chance of NOT experiencing a 100-year storm over that interval – meaning a 26% of experiencing a 100-year storm in a 30-year period (the standard mortgage length for federally backed mortgages – which require flood insurance based on 100-year FEMA flood maps). (.99^81) yields a 44.3% chance of a 100-year event NOT occurring over an 81-year period. Thus, a 55.7% chance of it occurring over that period of time in a given location.